The collegiate beach volleyball community has found a home in Gulf Shores. After hosting the “unofficial” college playoffs for several years, the inaugural National Collegiate Athletic Association championships took place on the pristine Baldwin County sand in 2016. The top eight teams in the country will return to the Gulf Shores Public Beach this weekend for the latest playoffs. This will be a familiar scene in the future, as the NCAA has announced it will continue to host the event in Gulf Shores through 2022. “The Gulf Shores & Orange Beach Sports Commission and Tourism offices are thrilled to host the National Collegiate Beach Volleyball Championships alongside the city of Gulf Shores and the University of Alabama at Birmingham for the next five years,” said Beth Gendler, vice president of sales for Gulf Shores & Orange Beach Tourism. Although Spring Hill College has a beach volleyball team, the Sandy Badgers are in their final year of transition into the NCAA. This is the reason UAB is serving as host. (Photo/NCAA) The NCAA announced Gulf Shores will be the home of its beach volleyball tournament through 2022. The tentative dates for the upcoming tournaments are May 4-6, 2018; May 3-5, 2019; May 1-3, 2020; May 7-9, 2021; and May 6-8, 2022, at Gulf Shores Public Beach. 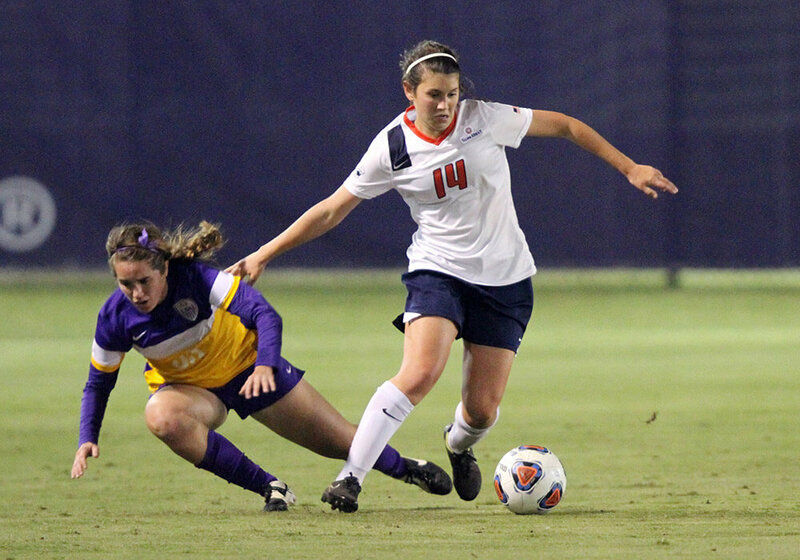 Defending national champion Southern California has earned the top seed, followed by No. 2 UCLA and No. 3 Pepperdine. Florida State secured the fourth seed. At-large selections Hawaii and Long Beach State earned the No. 5 and No. 6 spots, respectively, followed by No. 7 LSU and No. 8 South Carolina. Totaling 55 NCAA sponsoring schools, beach volleyball is the NCAA’s fastest-growing sport. With more than 1,000 student athletes participating, the field is reduced to these eight teams for the championship weekend. 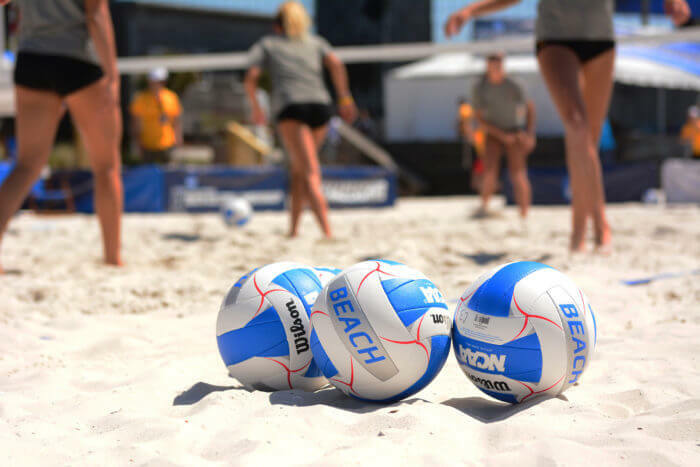 Five collegiate courts and five practice courts will be set up behind The Hangout on East Beach Boulevard for the double-elimination tournament. For the fans, there will be bleachers and courtside seating. The games will air on truTV the initial two days 2-5 p.m. The championship round will be shown Sunday at 1 p.m. on TBS. The third annual Tour de Bay bicycle event is also set for this weekend. The competition is hosted by Team Share the Road and the Mobile Sports Authority, is sponsored by Hargrove Engineering and is sanctioned by USA Cycling. The Alabama State Criterium on Saturday will feature a course running through part of the entertainment district on Dauphin Street in downtown Mobile. A criterium — commonly known as “crits” — challenges riders to make as many laps of a course as they can manage in a period of time. A series of races, lasting between 25 and 55 minutes each and divided into various skill categories for men and women, will run between 10 a.m. and 6:30 p.m. This will serve as the 2017 Alabama State Criterium Championship. Sunday’s ride, which starts at 8 a.m., will begin and end in Bienville Square. Riders have the choice of two distances: a 60-kilometer Fondo (37.28 miles) or a 22-mile Fun Ride. The after-party starts at 11 a.m. at The Back Lot food truck park behind Hilton Garden Inn. Online registration is open at www.usacycling.org/register/2017-44 for the Criterium and www.usacycling.org/register/2017-45 for the Tour de Bay. Entry fees are $30 for the Criterium, $30 for Sunday’s ride or $50 for both days. For more information, visit tourdebaymobile.com. • Gerald Everett has become the first University of South Alabama football player ever to be selected in the National Football League Draft. The Los Angeles Rams chose the native of Lithonia, Georgia, with the 12th pick of the second round — the 44th selection overall. He is among the top five in six different statistical categories in the program’s career record book. “We are very excited about Gerald having the opportunity to play in the NFL. I know it is a dream come true for him,” USA head coach Joey Jones said. • Brenau defeated the University of Mobile 2-1 in a nine-inning thriller to win the Southern States Athletic Conference softball title. Both Brenau and Mobile receive automatic bids to the NAIA Softball National Championships. Pitcher Sydney O’Connor and outfielder Emily Fleetwood made the all-tournament team for the Lady Rams, who are 38-17. • The 10th annual Hooked Up To Help United Cerebral Palsy of Mobile’s Inshore Fishing Tournament is Saturday. The weigh-in event will be at Ralph and Kacoo’s restaurant 1-4 p.m. The entry fee is $30 for adults and $10 for anglers 12 and under. The categories include flounder, speckled trout, white trout and redfish. There are powerboat and kayak divisions. 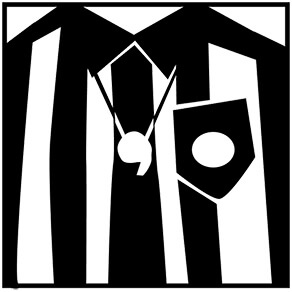 Visit ucpmobile.org for more information. • The Board of Trustees of the Alabama Forever Wild Land Trust will conduct its quarterly meeting May 11 at the Spanish Fort Community Center, 7361 Spanish Fort Blvd., at 10 a.m. Updates on Forever Wild program activities and tract assessments will be presented. Nominations of tracts of land for possible purchase may be made at alabamaforeverwild.com. • David Kirkman of Spring Hill College was recently named the Southern Intercollegiate Athletic Conference men’s golf player of the week. The senior ended his college career with a 1-under par 143 to finish tied for ninth at the Argonaut Cup in Pensacola. He averaged 74 strokes per round and had two Top 5 and five Top 10 finishes. • University of South Alabama’s Devin Brown has been named Community Coffee Pitcher of the Week. The honor is the third of the season for the Theodore native and 10th of her career. In her two outings against Louisiana-Monroe, Brown went 1-0 with a 0.00 ERA. Brown leads USA with a 14-6 record, 160 strikeouts and nine shutouts in 137.1 innings of work.